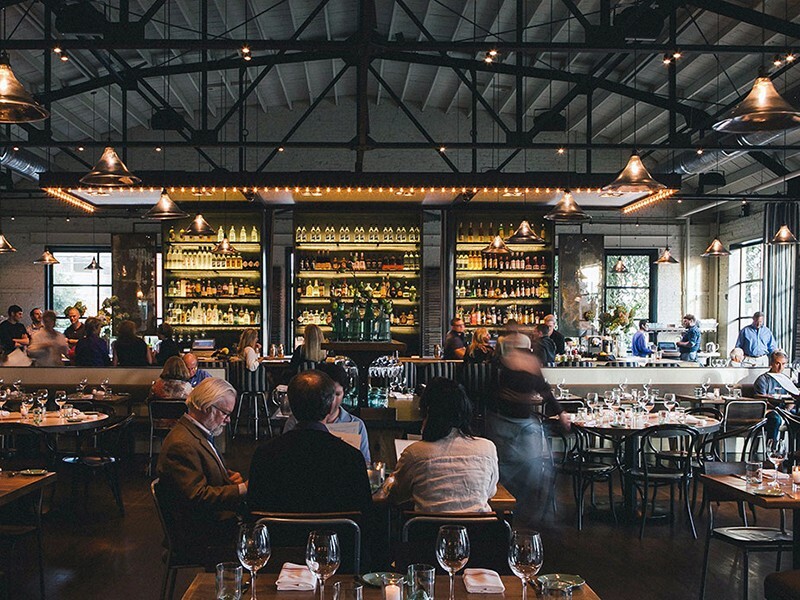 A few years back Bon Appetit magazine published its list of America’s Top 10 restaurants, and The Optimist Fish Camp and Oyster Bar in Atlanta came in at number seven. The name apparently refers to a kids’ sailing dinghy (first time I’d heard that). So on a recent trip through Atlanta, Joanne and I decided to have dinner there. 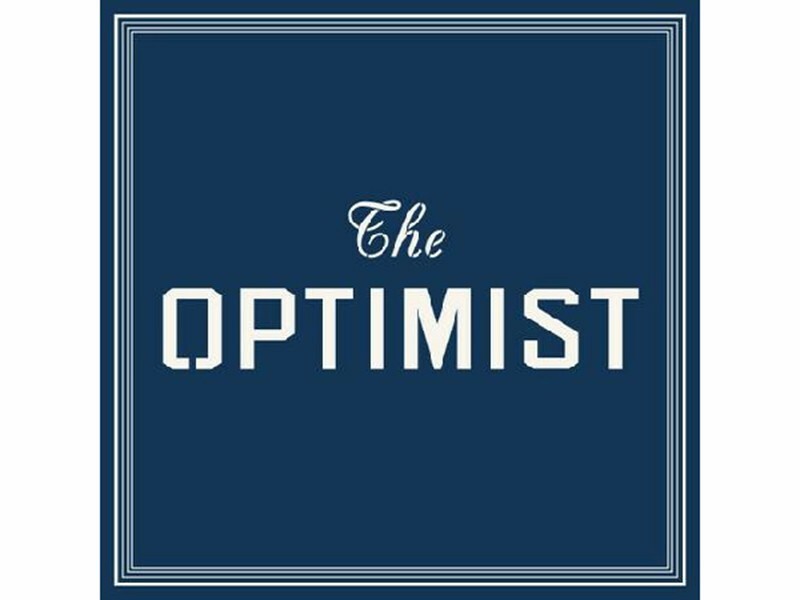 Located in an old ham-aging house, Optimist is a great looking space with a large vaulted-ceiling dining room that seats about 180. 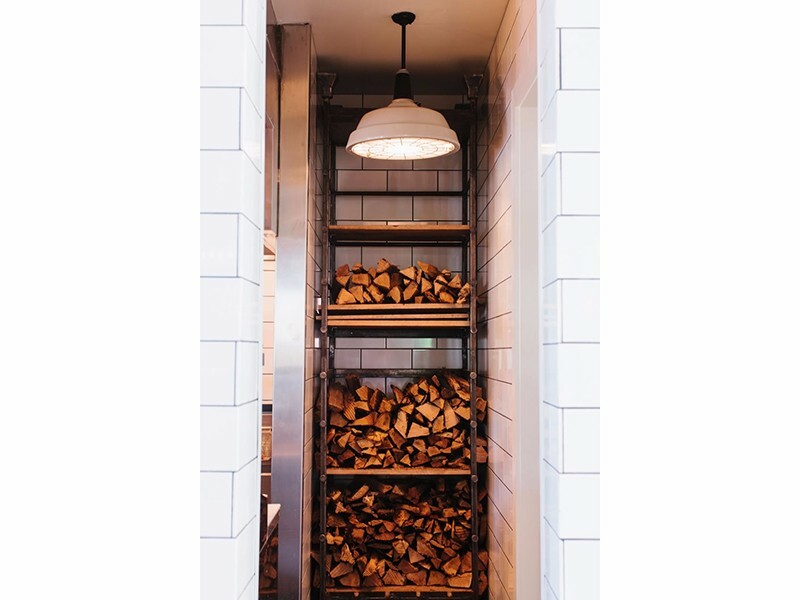 The urbane, industrial chic décor has a vague nautical vibe, and everything is enhanced by flattering movie-quality lighting. 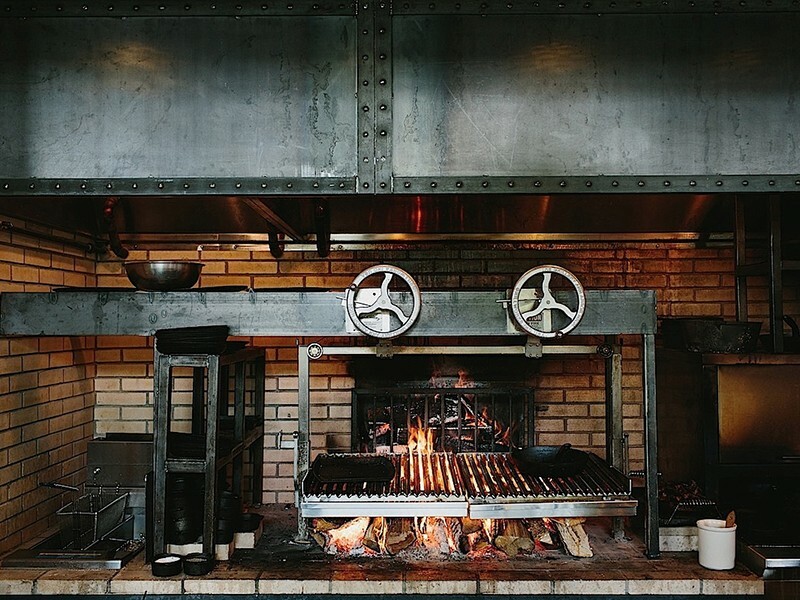 This seafood house is the creation of chef-owner Ford Fry, who prepares the preponderance of his dishes in cast iron skillets or fires them over a wood grill. 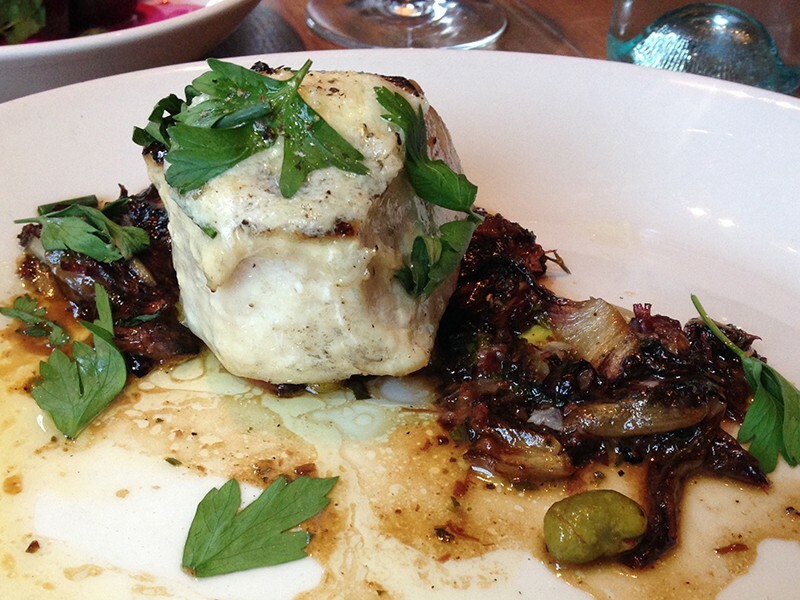 So it’s not “fine and fancy dining” – it’s just really good eating. Go easy on the delicious pillowy Parker House rolls. 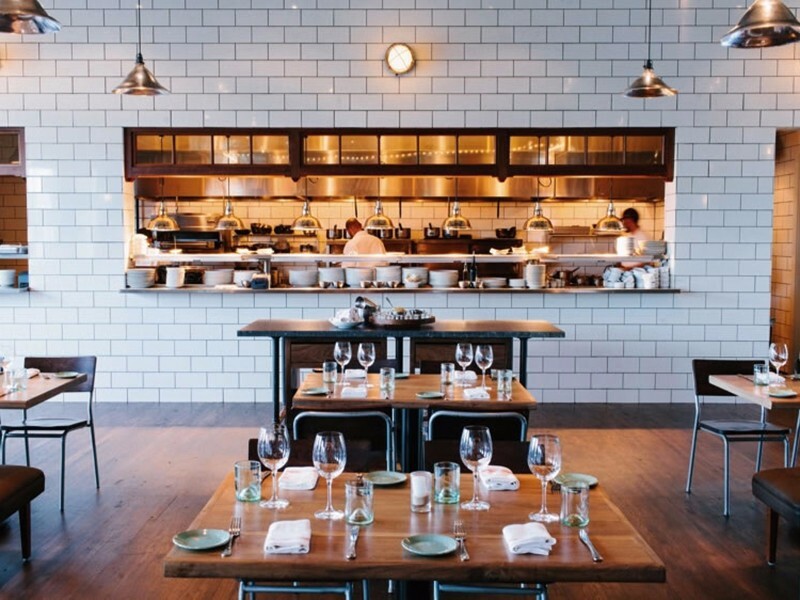 You’ll want to save room to load up on small plates, all while saving room for a main course and dessert. The fresh raw oyster selection is almost overwhelming…pristine and briny with both coasts very well represented. 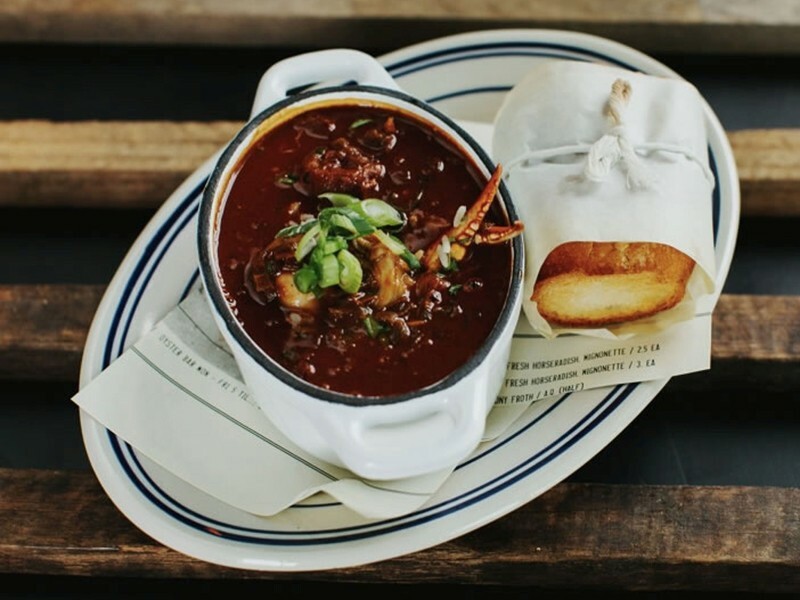 You wouldn’t think Atlanta would have such a wide selection, but – like Minneapolis – being the hub city for an airline has some distinct advantages, fresh seafood being one of them. 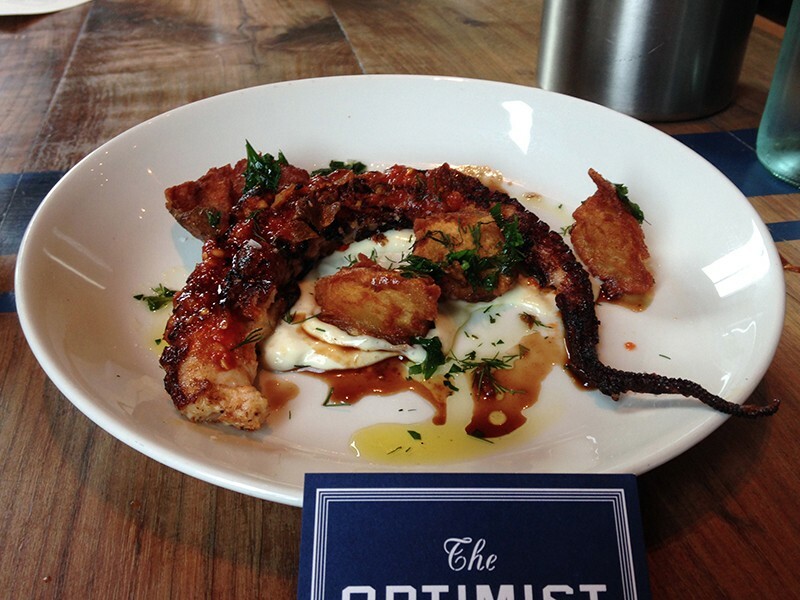 After oysters, we opted for the spicy char-grilled octopus with bone marrow aioli, gremolata and beef jus for $15. Was it better than simply grilled octopus served seaside on the greek island of Lesbos? Maybe not, but it it came close. 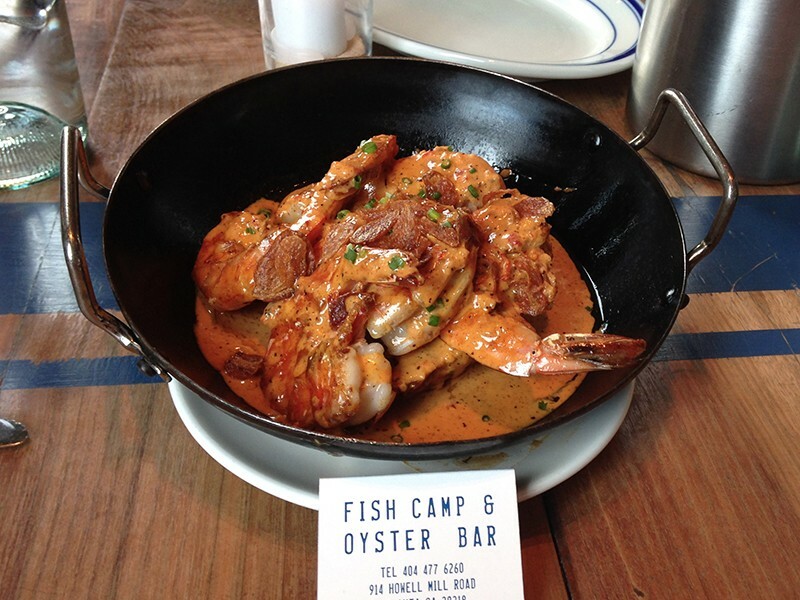 Next was the star of the show: head-on Georgia Shrimp a la Plancha, with spicy tomato-lime chile butter and “sopping toast” (great term, right?). The menu states that this dish is going to be “really messy.” Friggin genius for $14. Head-On Georgia Shrimp with "Sopping Toast"
Nothing disappoints here. 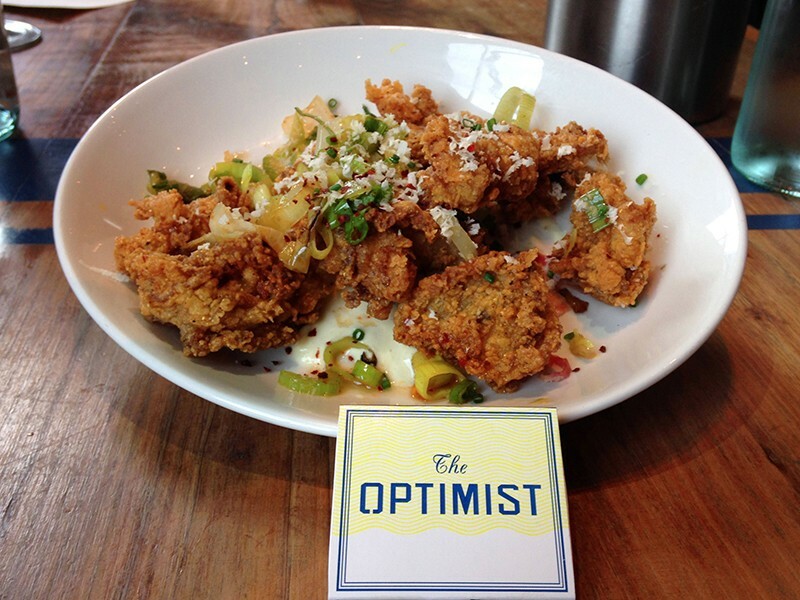 Fried Gulf Oysters with horseradish mayo, spring onion and confit of beef tongue (yeah, that’s not a misprint; it really is beef tongue) will run you $15. 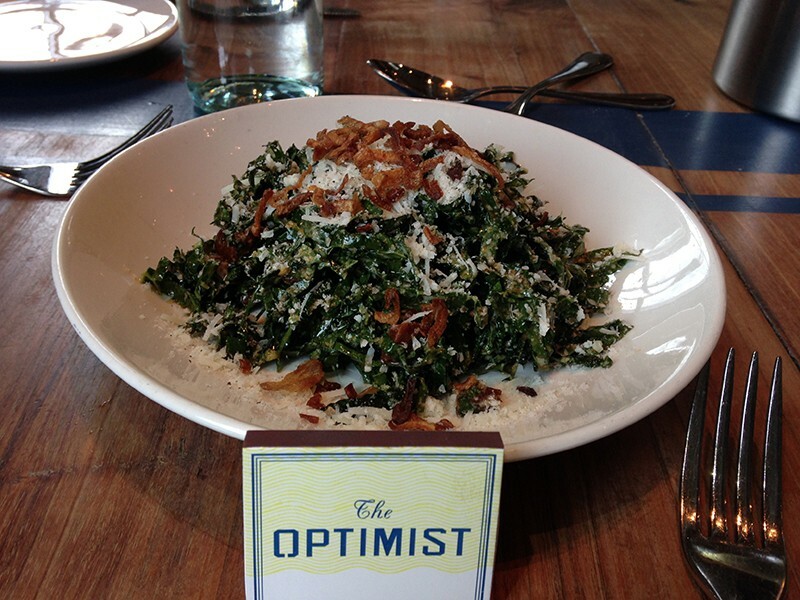 Kale Salad, with chorizo, crispy shallots, Calabrese pepper and creamy sherry vinaigrette is a must-order at $12. 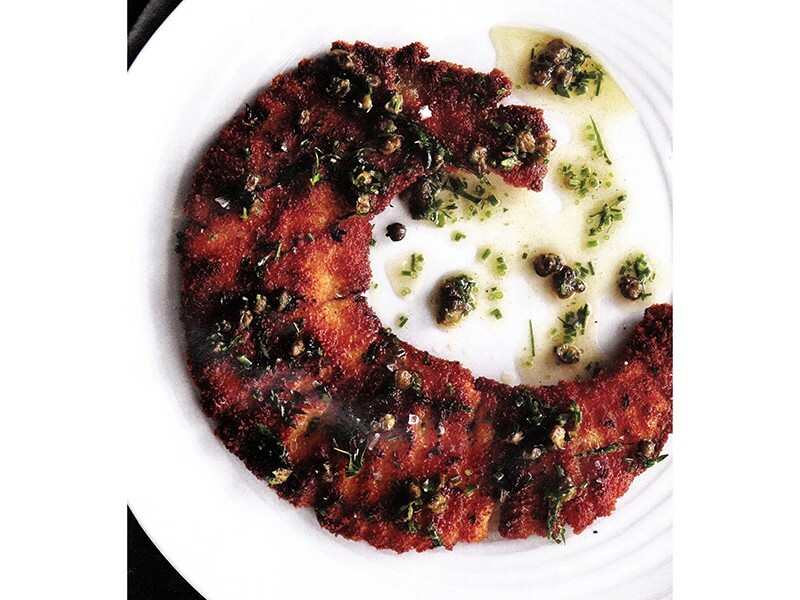 And how about Skate Wing Schnitzel, Duck Fat-Poached Swordfish with smoked short rib, fava beans and horseradish compound butter, or Blue Cod with clams, grilled shitake mushrooms and speck? (around $30). You know what the lesson here is? 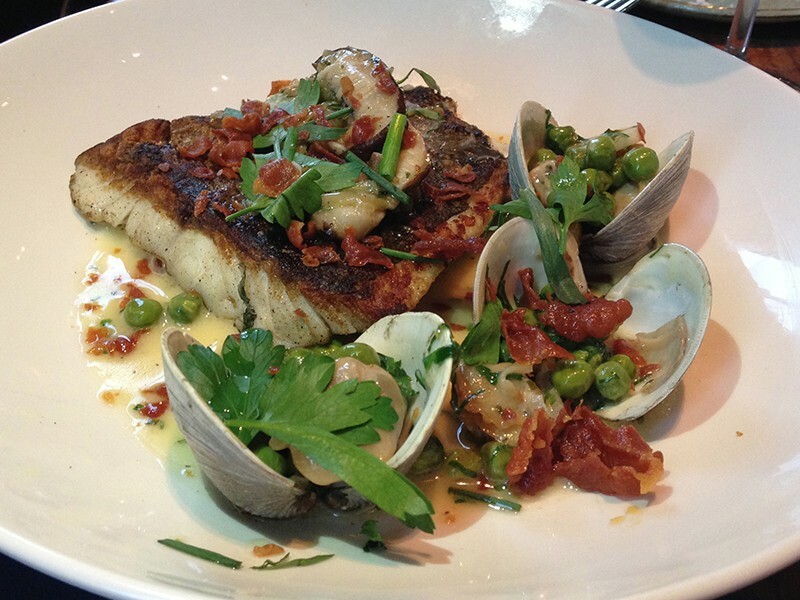 As great as seafood is, it’s even better when you cook it with meat. Want something not so edgy? 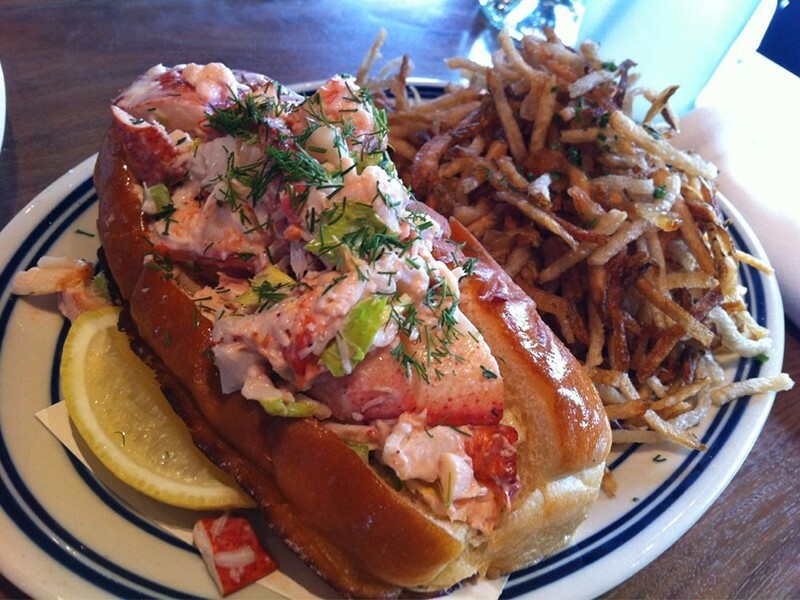 Get the lobster roll, loaded with claw meat. It runs about $22-24. Fish and Chips with malt vinegar deliver, too. I’ve never had the chili, but I hear it’s wonderful. 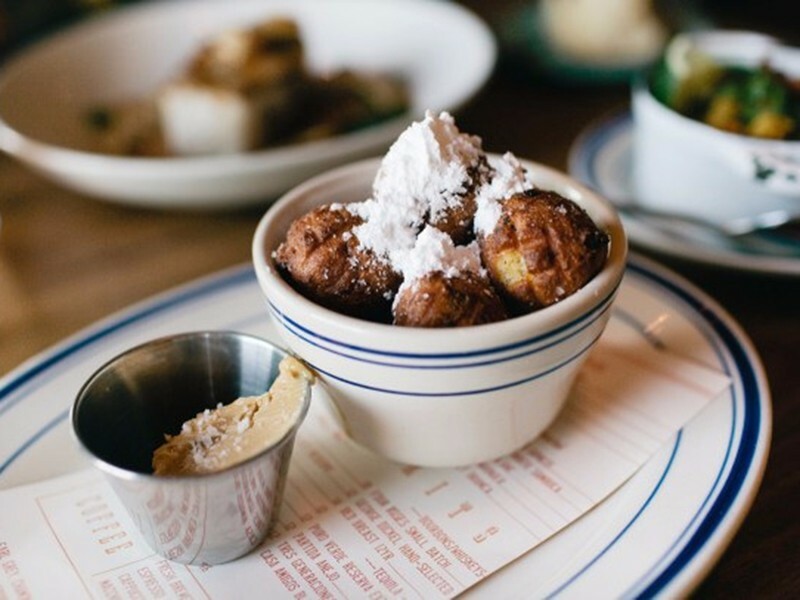 A side dish of corn-milk hushpuppies with cane syrup butter would be a very smart thing to order as well. 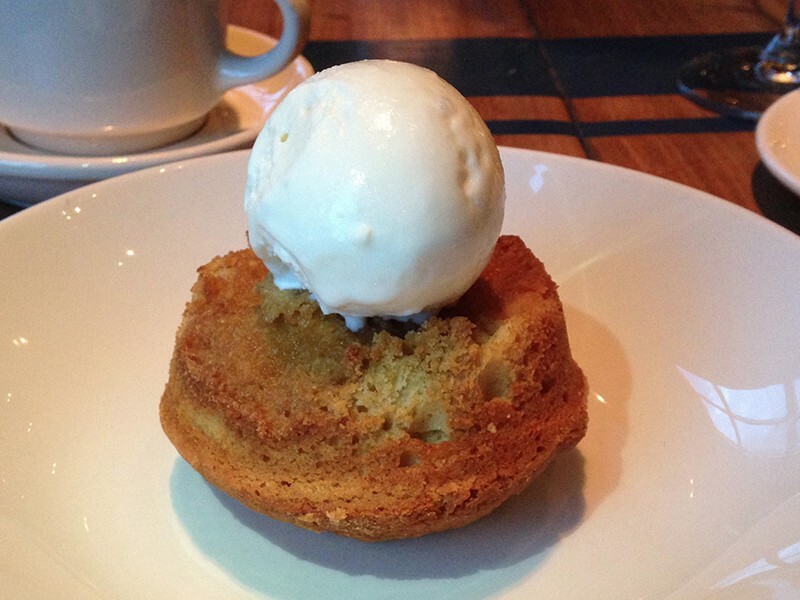 Ditto for the Brown Sugar Cake with Sour Ice Cream. 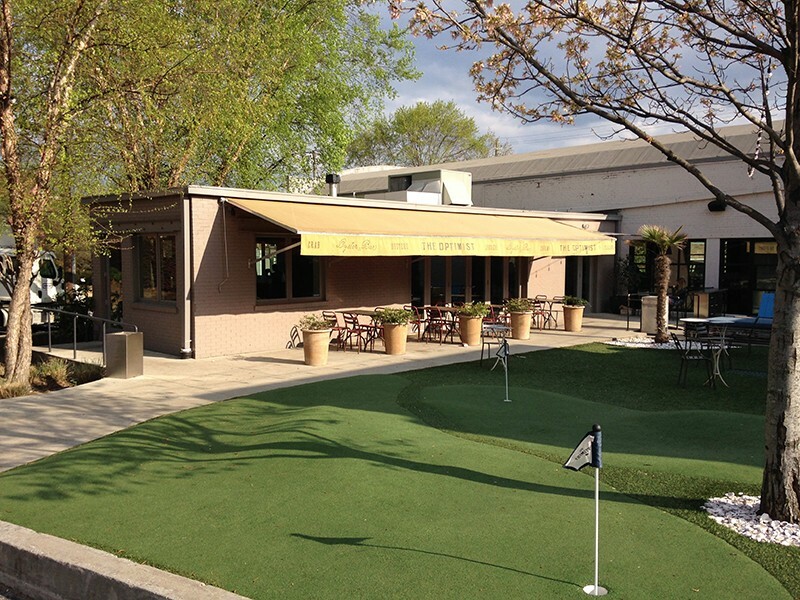 (See, aren’t you glad you restrained yourself from wolfing down those Parker House rolls?). 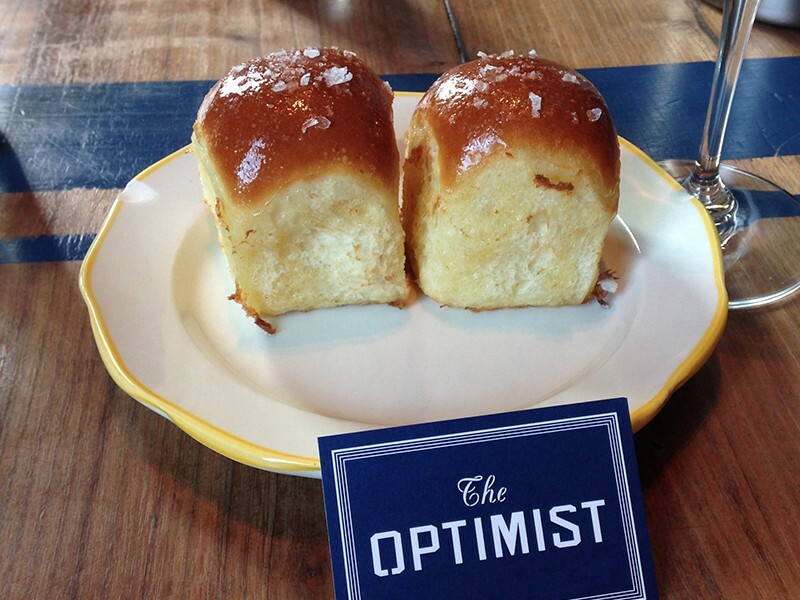 Atlanta is one of my favorite restaurant cities, and Optimist ranks first amongst equals here.